Paul begins this podcast by explaining the lack of new podcasts and an update on the work that has been going on. A 3 day "rest" period from work was decided to heal up since everyone had been going at such a scramble, scramble rapid pace. Emily, Tony and Jason join in as well. Emily and Tony will be staying in the Tipi for the winter (with only a rocket mass heater for heat) while Jason will be finishing up the rocket mass heaters. Jason was really interested in the cob portion of the presentation. Permaculture voices put out a new podcast so Paul wanted to respond and spent his time off= working. That podcast (permaculture voices) featured Diego (permaculture voices organizer) and Alden who owns the property plus Joey who planted the property. Paul discusses the earthworks workshop (which Paul taught) and how presenting at these workshops goes. Paul speaks to the reason he believes a pond should be the first thing done with earthworks, (heavy metal removal). The rocket mass heater dvd set featuring Ernie and Erica is discussed alongside a rocket mass heater DVD done by someone else on a single DVD that also features Ernie and Erica. The single DVD has some interesting aspects in that cob is discussed well. The consensus was that the 4 dvd set is superior. (wood burning stoves 2.0). The permacultur playing cards were discussed as well, the proof deck fonts were too small so Alexander reworked the fonts. 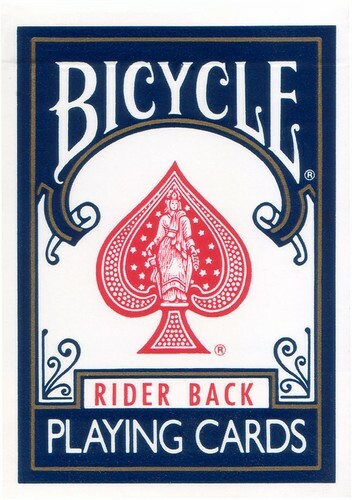 The group found the proof deck to be as precise as a bicycle deck when used for playing. There are hundreds of playing cards featured on Kickstarter and the permaculture cards are #5! Impressive! The daily affairs or ups and down are discussed as well. Dump truck problems, materials costs, people coming and going, but when it came crunch time (2 days before workshops) all worked at high velocity and peaked! Showers have been built (4) on skids for portability. The compost pile is being used to heat the water and a discussion of its genesis and progress is lengthy and informative. The timber used to make the showers was harvested off the land. It is estimated that 500 boards were used on the portable shower system. 50-60 boards a day was the beginning output from the onsite sawmill but has since increased to passed 100 and more is possible (120-150). Water has been a challenge and has been shut off till a possible leak at the cistern or line to it can be assessed and fixed. The cold weather is not helping with this either. There are approximately 70 other items that need fixing as well and will be addressed this winter. The poopers are set up with his and hers and are being adjusted for each. The proper amount of sawdust used per use is determined (Just a tiny bit or sprinkle is all that is needed, no more than 1/2 a cup) so that the pooper does not fill up so fast. The various trials and errors are discussed further. This podcast currently does not end with the usual tag lines (if you like this sort of thing), just dead air, so do not think your playing unit has malfunctioned. Next kickstarter is possibly starting in January!